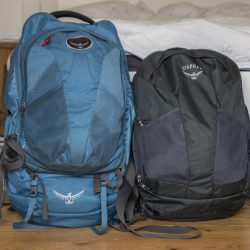 If you’ve been reviewing backpacks for some time, you’ll start to see a lot of similarities between bags. It’s happening to me more and more often, and my girlfriend sometimes jokes that I’m running out of things to say about carry-on backpacks! “So, what are you going to tell people this time? That it has a laptop compartment? OOooOOh”. 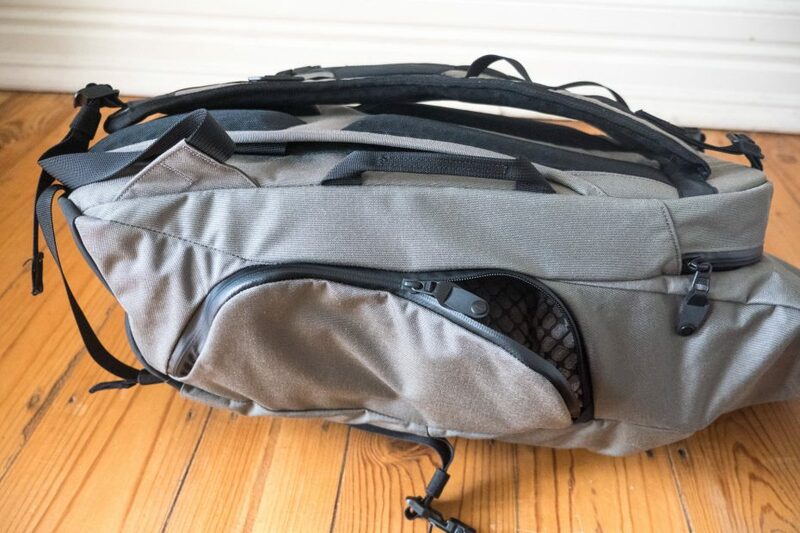 But then I received the Prima System Modular Travel Backpack from Boundary Supply, and I was delighted by the unique features and approach of this product. 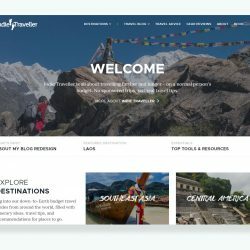 Even this seasoned backpack reviewer found some wonderful surprises here, and I think this backpack is worth taking a serious look! In a nutshell, I think this is a fantastic backpack for daily/everyday or weekend use. It has some amazing organizational features (including some really neat ones for photographers) and it looks good too. It can expand from 25 liters to 35 liters, making it especially versatile. 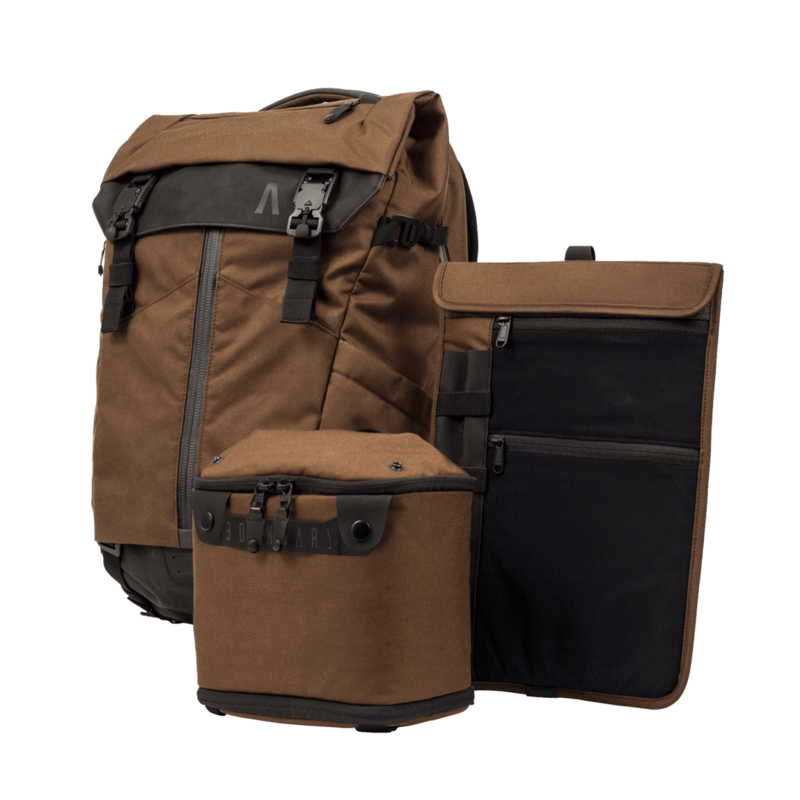 The Prima System reminds me a little of the backpacks by Peak Design, though it has a more sturdy and outdoorsy design, and it manages a have a bit more restraint when it comes to the access points for the main compartment (which I think can be a real plus). 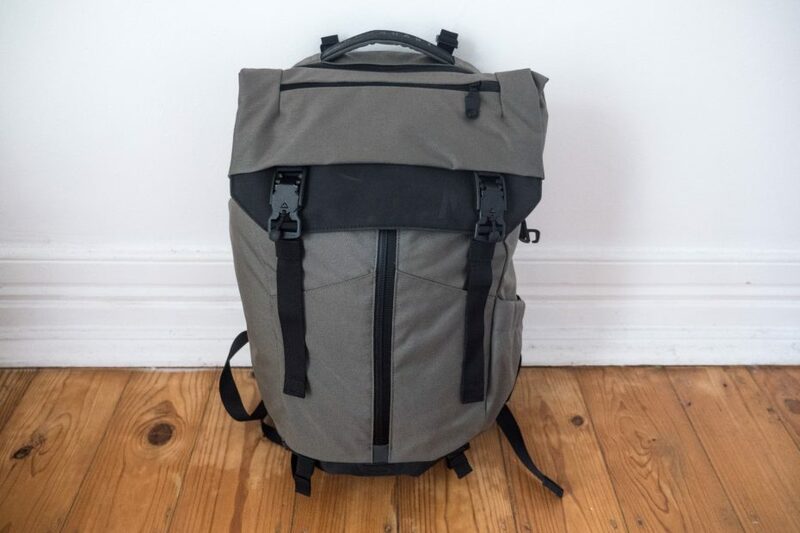 Let me walk you through some of the notable features of this backpack. Inside the main compartment is something that looks a bit like a big packing cube, which attaches to the inside of the bag with two buttons. 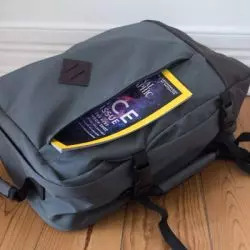 You can reach down to this module through the top, or via a zipper on the side of the backpack. Photographers will see the obvious use case for this. It’s a great place to store your camera or lenses! 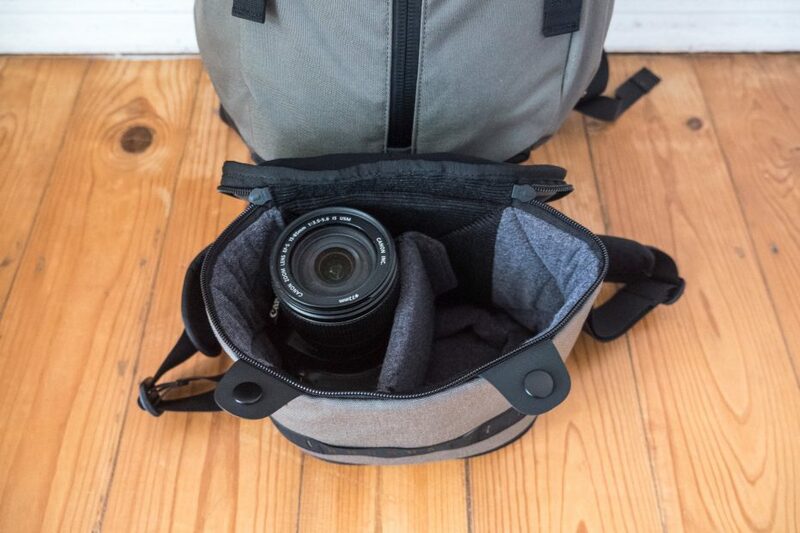 You can simply keep the backpack on a single strap, swing it to the side, and then easily grab your camera gear through the side-access. I’m a big travel photography buff and I basically cannot live without this type of quick-access camera compartment anymore — it’s amazing to be able to grab your camera with one hand and without having to put your backpack on the ground. Of course, you can also use this module for storing anything else. It’s also totally optional, so if you’re going on a trip where you just need all of the internal space together, you can easily take it out. If I had any criticisms here, I’d say that it would have been nice to have two velcro dividers inside the module instead of just one. I normally travel with a Micro Four Thirds camera with two or three lenses, and it would have been nice to have one more divider here to keep the lenses separated. If you’re on Micro Four Thirds, like me, you can fit 3 to 4 lenses easily. If you’re on an APS-C or Full Frame camera, I’d say you have room here for a camera and two lenses. If your lenses are pretty big, don’t worry, as the module is expandable (using a zipper) so it becomes another third or so deeper. We’re actually not done with this module yet! It can also be turned into a separate bag — just detach it, and then detach the hip belt and click it into the storage module. Ta-da, you now have a camera bag or small daypack/shoulder bag. This is pretty amazing and convenient, as you might not always want to carry the whole bag with you everywhere. 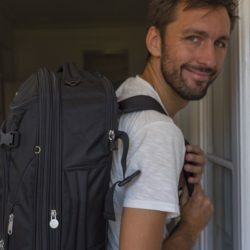 I don’t think this is only relevant for photographers; this can just as easily be used by urban explorers and travelers wanting to take only a few smaller items with them, while leaving the large bag at an office, hostel, or locker. Of course, this bag has a padded laptop compartment (what bag doesn’t, these days?) and a place to store documents. But they take things one step further by adding a detachable travel organizer. It can store some documents (or a tablet), pens, and has two mesh pouches. In what is a pretty neat detail, the document sleeve is magnetic and will easily close with just a small touch. The entire travel organizer can be clipped inside the bag with a push button, or can be taken out easily. I think this is a pretty neat feature, though I do miss just having some of these things fixed inside a normal bag compartment. It takes some time to get in the habit of taking out this whole organizer to retrieve a pen or paper, although I suppose this is just a matter of preference. 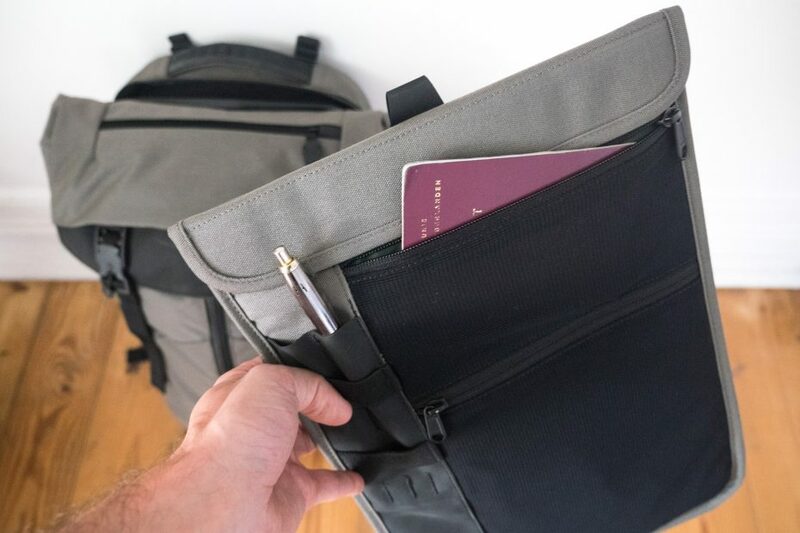 Instead of a regular zipped top, the Prima System Modular Travel Backpack uses a flap-over. This makes the bag a bit more expandable, though it does also inhibit your access to the main compartment a little. While the flap-over looks very good, I also think it’s ever so slightly awkward. You have to open it using the magnetic buckles, then zip it open through the middle, and then push aside the flap to retrieve items inside. 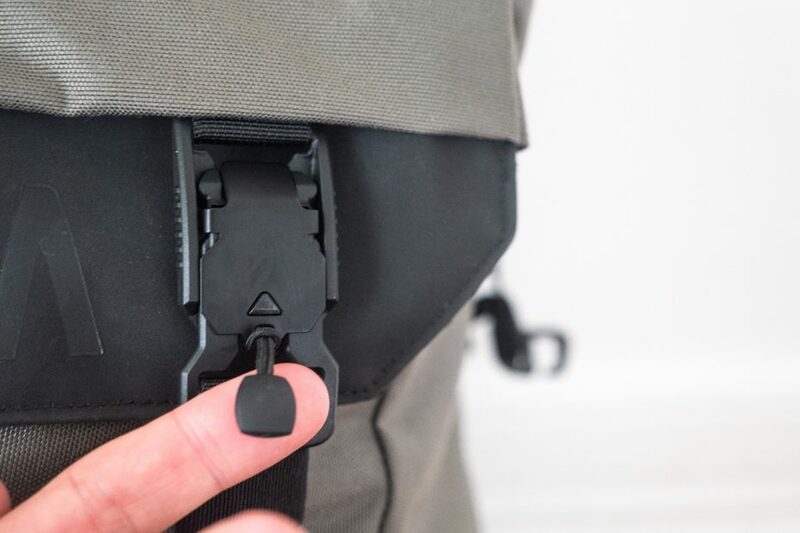 I like the magnetic buckles a lot, but I’m less crazy about the lack of immediate access. The modular system is very clever. It’s genuinely a unique selling point for this product. 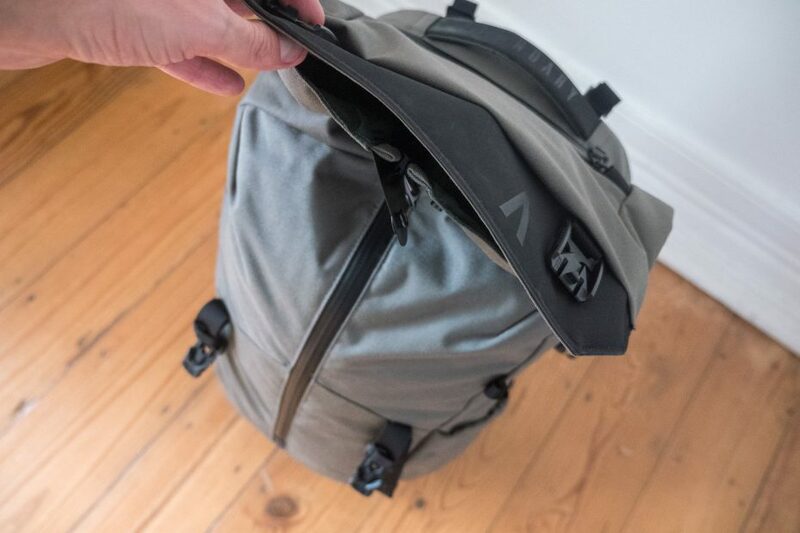 I like the side-access too, and I think in some ways it functions better than bags by Peak Design (which have side-access on both sides, often leading to confusion, and in one case for me even a dropped lens). I’m not sure if I’m totally in love with the flap-over element, though I’ll admit it looks cool and gives the bag a more rugged appearance. The materials used and the watertight zippers will make you confident to use this in urban settings but equally in the outdoors. One thing to note are the colors. I reviewed the Stone Gray / Emerald Green edition and I should say that it looks a bit different in person from the way it looks on the Boundary Supply website. The product photos definitely make it look more like bright silver grey, when in reality it fact it has a noticeable and more subdued green hue. Maybe it depends on the lighting conditions, as in my own photos on this page it also looks more grey! Hmm. In any case, the backpack looks very good. 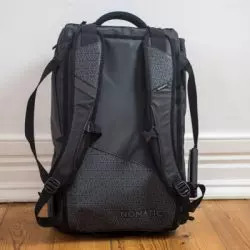 Overall this is a high-quality and clever backpack that I’m very comfortable recommending to anyone, and to photographers even more. The Prima System is available exclusively via the Boundary Supply online store, and you can check for the latest prices there. This review is independent and not sponsored. It includes some affiliate links, which is explained here. This is so nice Marek. 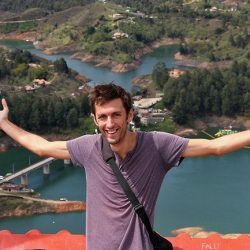 Blogging about back packs is really helpful especially to travel beginners.